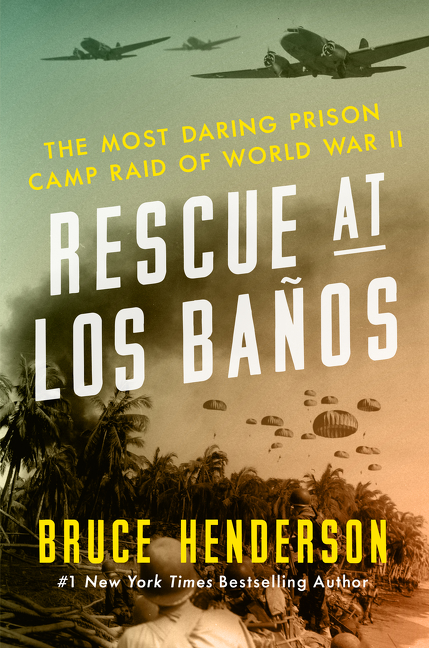 Video: Rescue At Los Banos by Bestselling Author Bruce Henderson. Video: The Daily Show With Jon Stewart: Bruce Henderson. Article: Smithsonian: Who Discovered the North Pole? Article: Washington Independent Review Of Books: The "Ritchie Boys" finally get their due. Bruce Henderson, author of more than twenty nonfiction books, is an inspiring public speaker with a platform: He tells real stories about real people. 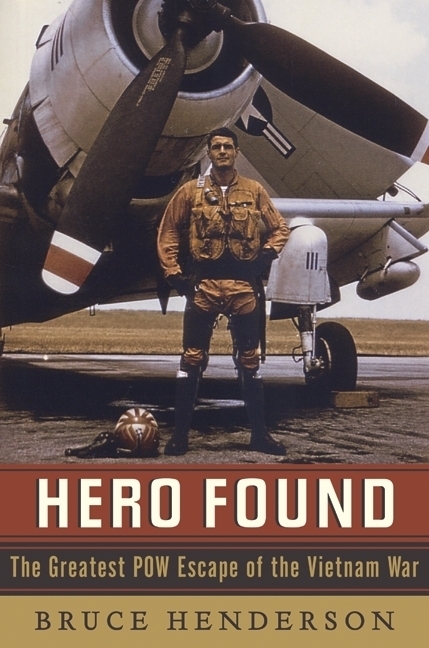 His bestselling narrative nonfiction titles are often about courage and survival against impossible odds. 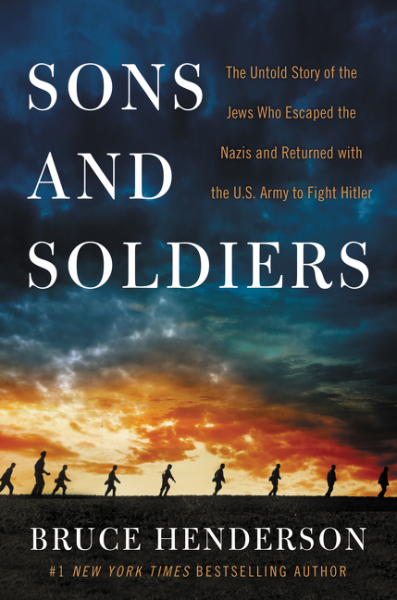 In his newest book, Sons and Soldiers: The Untold Story of the Jews Who Escaped the Nazis and Returned with the U.S. Army to Fight Hitler (William Morrow), Henderson tells the little-known saga of the young German-Jewish sons whose families sent them to safety in America and who later returned at enormous personal risk as highly-trained members of elite Army units to play a key role in the Allied victory. "Highly readable, often thrilling," raved Kirkus in a starred review. "A gripping addition to the literature of the period and an overdue tribute to these unique Americans." Rescue at Los Baños: The Most Daring Prison Camp Raid of World War II (William Morrow), the incredible survival story of more than 2,000 prisoners of war held in the Philippines by the Japanese during World War II—and the elite 11th Airborne Division’s heart-pounding mission to rescue these beleaguered men, women and children from deep inside enemy territory in a deadly race against the clock. 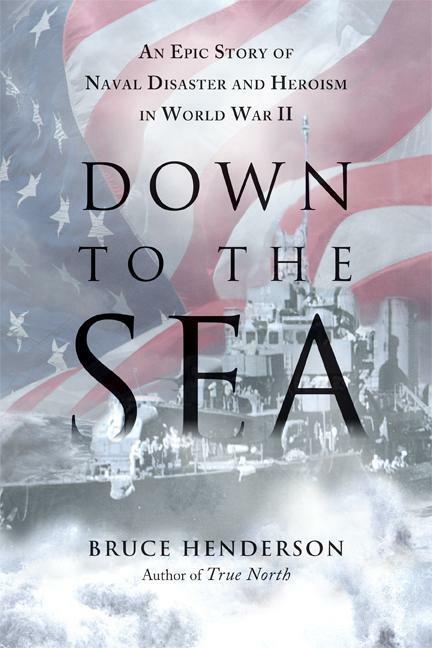 Down the Sea (Harper Perennial) tells the epic story that opens at the hour the Greatest Generation went to war on December 7, 1941, follows four U.S. Navy ships and their crews in the Pacific until their day of reckoning three years later with a far different enemy: a deadly typhoon. Drawing on extensive interviews with nearly every living survivor, Henderson offers the most thorough and riveting account to date of one of the greatest naval dramas of World War II. Henderson has also authored two critically-acclaimed Arctic adventure titles. True North: Peary, Cook and the Race to the Pole, is about one of the most enduring and vitriolic fuels in the history of exploration, one that would cause a bitter divide in the international scientific community and, eventually, lead to the ruin of one of the claimants and the discrediting of the other. Fatal North: Murder and Survival on the First U.S. Expedition to the North Pole, has been hailed by Library Journal hailed as: "A factual historical mystery written by a gifted storyteller." 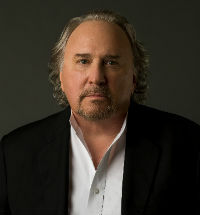 An award-winning journalist and author, Henderson has taught reporting and writing courses at Stanford University and USC School of Journalism. A former newspaper reporter, magazine editor, private investigator and field producer for television news, Henderson is a member of The Authors Guild. He resides in northern California, and can be found on the web at BruceHendersonBooks.com. "Bruce was an engaging speaker, lending his knowledge and storytelling to a captivated audience of more than 300 people of all ages who found themselves on the edge of their seats. His insights into the incredible journey of the Ritchie Boys, so well told in his bestselling book Sons and Soldiers, clearly made a lasting impact, and inspired thoughtful questions during a lively Q&A session." "Bruce Henderson’s warm, down-to-earth speaking style, coupled with his pragmatic advice, made him one of the stars for our high school’s Writers Week. Because he discussed his nonfiction books with such passion, students began to realize the potential of following their own curiosity and of persevering through challenges. His talk was so effective that the day after he gave it, a student had already finished fifty pages of his book. Afterwards, we heard many compliments from faculty and students alike. We are grateful that he agreed to speak to our school!" "Bruce was the high point of our event, offering provocative personal insights from his journey as an award-winning author. His desire to convey real stories about real people was artfully described with sophistication, wit, and intelligence. Our guests were quite engaged in his presentation, as he laced anecdotes of his creative process with his passion as a nonfiction writer. I am delighted to recommend him as an inspiring presenter." -- Karae Lisle, CEO, Peninsula Volunteers, Inc.
"Bruce did a great job with his presentation; the audience was very engaged and had a whole slew of questions for him at the end of his 30 minute presentation. It was a pleasure working with Bruce." "Bruce was terrific the other night. What a nice man! And a terrific speaker. The audience was interested and engaged, and good questions were asked. Bruce really impressed me. He was a consummate pro and just a lovely person." "I found Bruce Henderson's presentation about World War II fascinating, and learned facts that I didn't previously know. He is a dynamic speaker and kept his audience enthralled throughout."